Both the speakers made the remarks as key note and special speakers at a programme organized to mark the 2018 International Open Data Day in the capital recently. These two brief expressions are very indicative and spectacular in guiding governance and development discourse of future federal Nepal – which demands noble ideas, innovations and actions to deliver in a different fashion. The foremost importance of data lies on its power to generate evidence and make the decision-taking process objective and inclusive. The data discourse holds much importance when the governance process of the country has been delegated and devolved with spaces for grassroots citizens to engage in decision-making. With this, the country also needs changes in its working culture at all levels. Now is the time for the country to put systemic interventions to make data a currency of decision-making. For this, the data ecosystem from its production to use for impact harvesting needs to be given high premium. It is crucial for the government to generate evidence to claim its performance and for the citizens to know the investment and results of the public money they pay in the form of tax. The re-orientation of society as stated by Dr Wagle is quite contextual in the present day Nepal. With federal setup in place, Nepal has seen a unique opportunity of seven provincial governments and 753 local governments with executive, legislature and judiciary powers and 22 key functional areas. It is another good opportunity for provincial and local governments to mechanize function-wise data production, digitization and dissemination system which also gives extra drive for the state to respect citizens’ access to information. With the public availability of data related to the planning and performances, citizens and their organizations can use them to track development progress and demand evidence-based decisions, planning and resource allocations. The Local Governance Act 2017 has focused local government functions on communication service including internet, advancement and promotion of information technology at local level, use, promotion and regulation of ICT in the management of local services, collection of local data and records and local development schemes and projects, among others. In order to prepare the base for this, the local governments are recruiting Information Technology (IT) Officers to digitize and disclose public data and information to facilitate delivery of public services at the local level. This is to archive and promote availability of data related to local governments in open format. Broadly speaking it is democratizing data which allows any individual to freely use, analyze and exchange as per the purpose. In essence, open data is a strong means of providing equal access to more and more information and innovative opportunities. It is often stated that the expansion of open data is liberating information for improved decision-making, service offerings and greater accountability. These are much needed phenomenon in the new context of provincial and local governments. However, data should be made available in digital formats that provide complete access, and in a way that it could be amended, changed or merged with other data; it is provided without restrictions as to reuse and redistribution and all open data that is disseminated digitally should be provided for free. 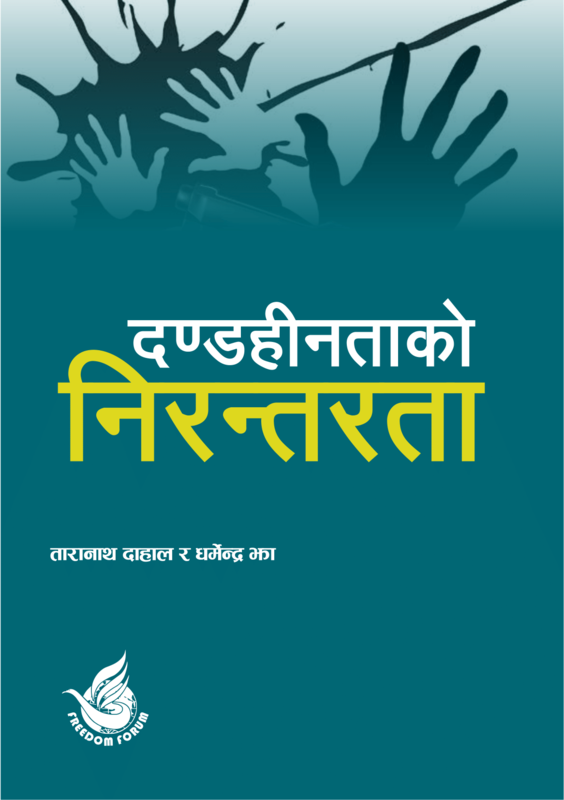 The Right to Information (RTI) Act and Rule of Nepal has provided strong foundation for the adoption of open data practices through its proactive disclosure provisions. Section 5 (3) of RTI Act and Rule 3 of the RTI Rules state that the public agencies are legally bound to proactively disclose different 20 types of information including structure and nature of the body, duties, responsibilities and powers, number of employees and working details, service to be provided, branch and responsible officer of the service providing agency, fee and time limit required for service, decision making process and authority, authority to hear appeal against decision, description of functions performed, name and designation of Chief and Information Officer, list of Acts, Rules, By Laws or guidelines, details of website and updated description of income and expenditures, financial transactions. With these provisions already in place, the local and provincial governments can at least initiate the disclosure of these public information in digital format, which in a way will set a model of implementation of RTI and Open Data at the sub-national level. Hence, there is great potential for the provincial and local governments to advance the practice of transparency and accountability by capitalizing the growing technological advancements and internet access coupled with legal provisions. The true relevance of provincial and local governments will be realized when there are enough opportunities for citizens to exercise their constitutionally guaranteed rights. The opening up of information and data will essentially be an important initiative from the government side to translate these opportunities into action. This is the way that our society can move to re-orientation towards open society based on facts not opinions.